The wizard Isaac is leaving on a royal spy mission, leaving behind his warrior captain wife Rivka for a few days. It’s my birthday today, so I’m posting pure self-indulgence. Characters from The Second Mango and Climbing the Date Palm, drawn by Erika Hammerschmidt. Scene is from Date Palm but technically that’s a spoiler. 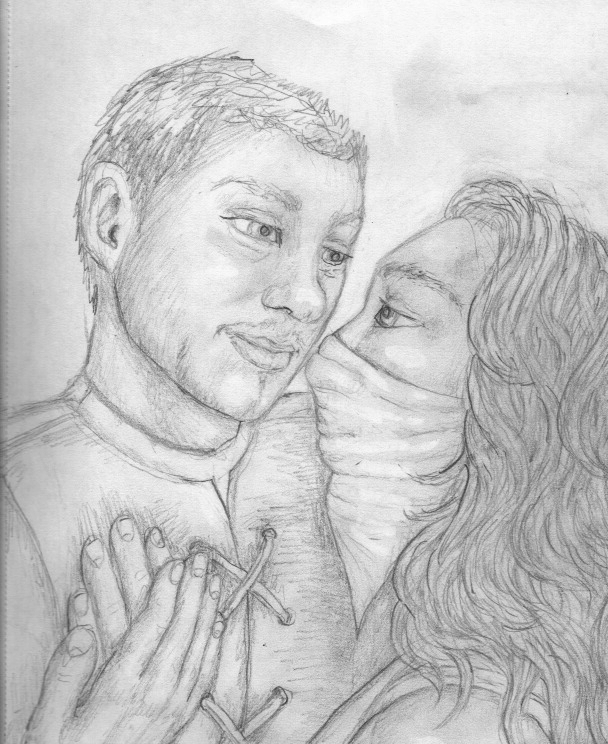 This entry was posted in Uncategorized and tagged Art, drawing, fictional characters, fictional couples, graphite, novels, romance, warrior, warrior woman, warrior women, wizard. Bookmark the permalink.